Today is National STEM Day, a day that is meant to inspire young people to explore and pursue interests in the fields of Science, Technology, Engineering, and Math. LEAP, the Free Library of Philadelphia’s city-wide out-of-school time program, is ready to help children and teens explore all things STEM at your neighborhood library! Drop in on any given LEAP day, and you might find a group of 3rd graders exploring the fundamentals of electrical engineering as they complete circuits with copper tape, LEDs, and coin cell batteries. Or, zoom over to another library location, and you’ll find a Teen Leadership Assistant (TLA) leading a Young Architects Club. Scoot out to a handful of libraries and you will find nimble fingers learning to knit or crochet – surprisingly enough, this handicraft utilizes a lot of the same fine motor skills as soldering, a key skill for work in certain trades, electronics, and more! Donatucci, Fumo Family, and Frankford Libraries all have some fun STEM activities already planned for today! These activities are being led by both LEAP staff and librarians. Enjoy a fun-filled DIY afternoon at Thomas F. Donatucci, Sr. Library, where young people will be able to explore various Maker projects. Materials and snacks provided! The fun starts at 4:30 p.m., call 215-685-1755 for more information. Young adults can learn more about the wonders of 3D printing at Fumo Family Library. Whether you are looking to rebuild game pieces or create an artificial limb, this workshop is sure to inspire curiosity! Check out the process starting at 4:30pm, and call 215-685-1758 with any questions. Unveil your inner architect at Frankford Library’s Wooden Block Party! With over 2,000 blocks, signs, and figures, emerging designers of all ages will be able to create their own architectural masterpieces. This is a monthly club that meets the first Wednesday of each month. The building extravaganza begins at 5pm, and you can call 215-685-1473 to find out more! In the North Philadelphia Neighborhood Libraries, the Maker program is going strong! Visit Kensington, newly reopened Lillian Marrero, McPherson Square, Ramonita de Rodriguez, or Widener neighborhood libraries to immerse yourself in the Maker Movement. LEAP STEM Kits are out in the neighborhoods, too! Kensington Neighborhood Library is turning everyday items, like bananas, into game controllers using MaKey MaKey. In the Northeast, Torresdale Library is programming and exploring with robots. Finally, Haverford Library out-of-school time participants are having the time of their lives with – what else? – the time kit! Contact each of these libraries directly to find out when these activities are scheduled! Finally, every neighborhood library has a LEGO kit, Snap Circuits, and Keva Planks. We consider this the STEM Starter Set for each library. If you don’t see the LEGO kit, Snap Circuits, or Keva Planks out, ask LEAP or Free Library staff if it’s available for free play! 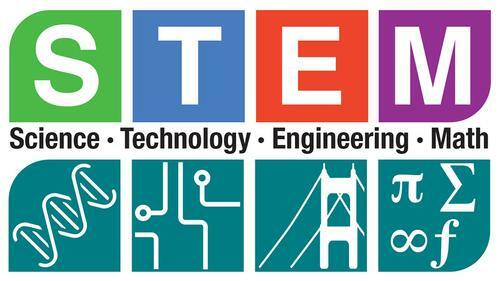 November 8 is National STEM Day! Add a Comment to Make and Learn at your Neighborhood Library on National STEM Day !